“Philosophy is not a theory, but an activity….”– Ludwig Wittgenstein. While perusing the incredibly useful book, The Philosopher’s Toolkit2, by Julian Baggini and Peter Fosl, I noticed that Mr. Baggini had founded a quarterly philosophical magazine and decided on a whim to subscribe for one year. What a delightful decision! I received my first issue in December and thought it might be interesting to blog about its contents. I’ll begin by noting the quality of the publication is excellent with a thick glossy cover and heavy stock paper. This issue has 120 pages of content with about 10% being aesthetically produced photos and illustrations. The advisory board consists of four women and eleven men; five of the twenty-four essays are written by editors or advisory board members. There is a medley of subject matter starting with an editorial essay memorializing a British philosopher by the name of Mary Midgley who at age 99 wrote a book titled What is Philosophy For?, wherein she tries to “make sense of this deeply puzzling world”. Then come additional articles such as ones on fake news, sustaining the planet, and the esoteric What is dirt? There is also a challenging article on time as conceived by Henri Bergson and reflected in Doctor Strange. 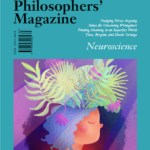 This issue’s forum is on neuroscience, looking at some philosophically relevant features of that field including neuroexistentialism, transcendence, free will, utilitarianism, and the relationship of neuroscience to philosophy of consciousness. I enjoyed the book review on Iddo Landau’s Finding Meaning in an Imperfect World, written by Kirsten Egerstrom, a philosophy professor whose research focuses on the topic of meaningfulness in life, an area of particular interest to me. The final piece is an interview of Matt Teichman, whose podcast is known as Elucidations, but who also refers readers to The History of Philosophy podcast which is one of his favorites. However my favorite essay is Philosophy as a Way of Life, by John Sellars, professor of ancient philosophy at Royal Holloway, University of London. 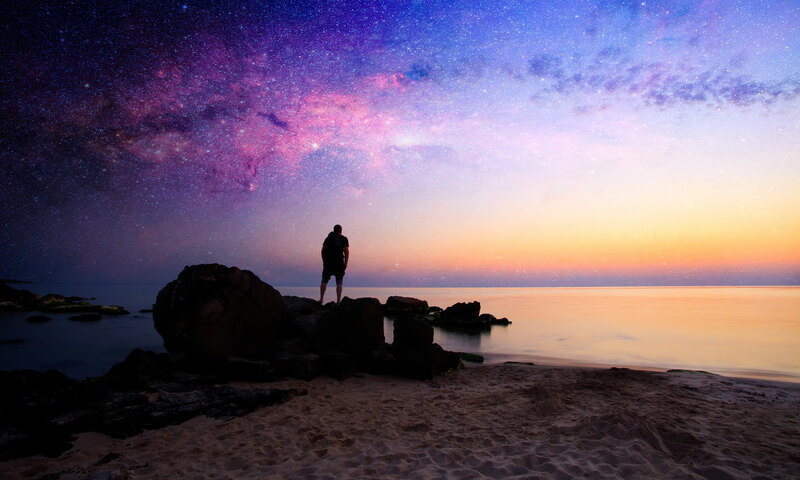 In the article his stated goal is to move philosophy away from modern concerns of what we can know and how we know it to philosophy as a guide to living. He discusses Pierre Hadot’s book (of the same name as the essay) which starts with Socrates’ emphasis on “care of the soul” and traces that approach to three later schools of thought. The first is developed by Epicurus whose efforts to explain natural phenomena scientifically is directed at alleviating unwarranted fears to bring about ataraxia, or untroubledness. The second is the stoicism of Zeno which identifies philosophy as the “art of living,” with a focus on control of the emotions, and seeing nature as a unified whole. The third is Pyrrhonism which renounces all beliefs, and suggests cogent counter-arguments lead us to ‘equipollence’ (the midpoint between two sides of a debate), and an involuntary confusion, resulting in an unexpected tranquility. Cicero, Seneca, and Epictetus progressively refine these Hellenistic philosophies into approaches to real life problems and emphasis on deeds over words. Later philosophers such as Montaigne and Nietzsche also adopt the principle of philosophy as a guide to living rather than a simple mental exercise. Overall the material in this periodical covers an amazing spectrum of philosophy in a succinct yet robust fashion. I found it very helpful in learning about current approaches to philosophical questions and for comparing my own thoughts with those of some academic experts. My only caution is that the content is by and large most appropriate for more advanced readers. 1Garvey, James (editor), The Philosopher’s Magazine. Issue 83, 4th Quarter 2018. 2 Baggini, Julian and Fosl, Peter S., The Philosopher’s Toolkit. Blackwell Publishing. 2003. ISBN 978-0-631-22874-5.